It would seem that selling an extended vehicle service contract to a customer would be almost second nature, a natural extension of a vehicle purchase. The pitch almost sells itself: Buy this and protect the asset you just invested in! Unfortunately, many dealers have to be convinced that selling the best extended vehicle service contract on the market is worth their time. Read on to learn why it is. Your customer just made an investment that is worth tens of thousands of dollars or at least several thousand dollars if they purchased a pre-owned vehicle. Like everything in life, they could drive their vehicle for five years and never have anything other than routine maintenance to perform, or some oddity could occur, and they end up needing service on their way home. That is the nature of owning a vehicle. The insurance vehicle service contract providers offer is a guarantee against those odd occurrences. In addition to basic coverage, the best extended vehicle service contract offers the customer security beyond the manufacturer's warranty on some repairs and replacements. That alone can be a huge financial benefit to customers that makes purchasing the contract worthwhile. Vehicle customers, for the most part, visit a car dealership because they have a need. That need is a set of wheels they can depend on. Sales people pitch and sell them on additional features, but for the most part, their basic need is an ability to transport themselves. It makes sense to do everything possible to protect the thing that fills that need. The best vehicle service contract companies know that and put together extended service contracts that cover what can hinder filling that need. When pitched to customers in that light, the reason for purchasing a coverage contract becomes really clear and worth the investment. That need also opens the door to sell the contract while selling the features of the vehicle. The motor that is covered under the contract is vital to the vehicle and has expensive maintenance needs. The computer board may eventually need replacing because it can malfunction or even break. Every customer complains about the conditions of our roads; the extended service contract may cover tires and wheels. By pitching the practicality of the contract, it sells itself. What, though, does the dealer get out of it? A customer that knows their vehicle is covered should something go wrong will look at the dealer favorably. They will know the dealer has their best interest at heart. Further, they know if something goes wrong, the fix won't cost them thousands out of pocket. All that builds goodwill, even if the contract is never used. If a dealer’s salespeople only sell an extended service contract to 5% of its customers above what it already sells, that is thousands in extra revenue monthly for the dealer—and, it doesn't cost them a thing. The salespeople do the selling, vehicle service contract companies address the coverage, and the fix is done by mechanics. 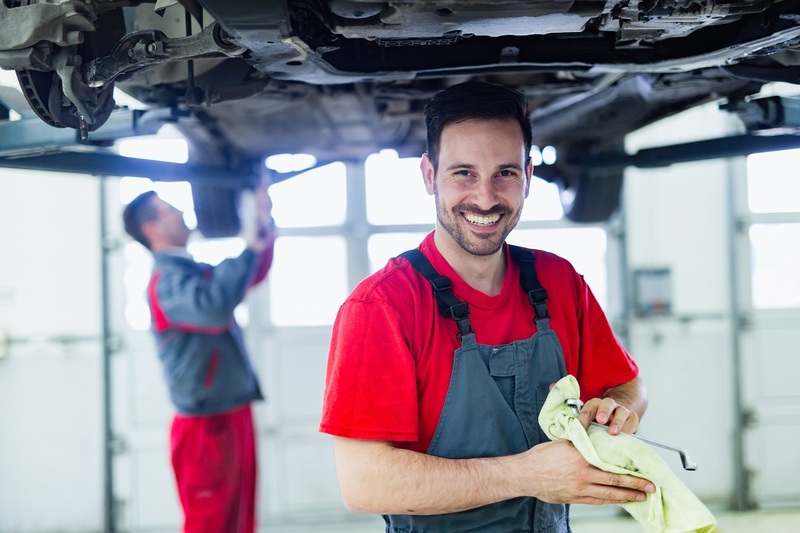 Even if the customer brings their vehicle to in-house mechanics, they still produce revenue by virtue of fixing the thing that exercised the contract. Marketing and selling vehicle service contracts to customers is a natural extension to actually selling the vehicle. It is easy profit for the dealer, and the customer can rest assured that if something happens, it will be taken care of. Check out Freedom Warranty LLC for more details. Offering your customers an extended vehicle protection package is an excellent strategy for low-term growth and customer retention. Buyers want to know they’re protected if something should go wrong with their new or used vehicle prematurely. Extended vehicle service protection provides this sense of security. Keep reading to learn more about how offering vehicle service contracts to your customers are beneficial for dealerships too. 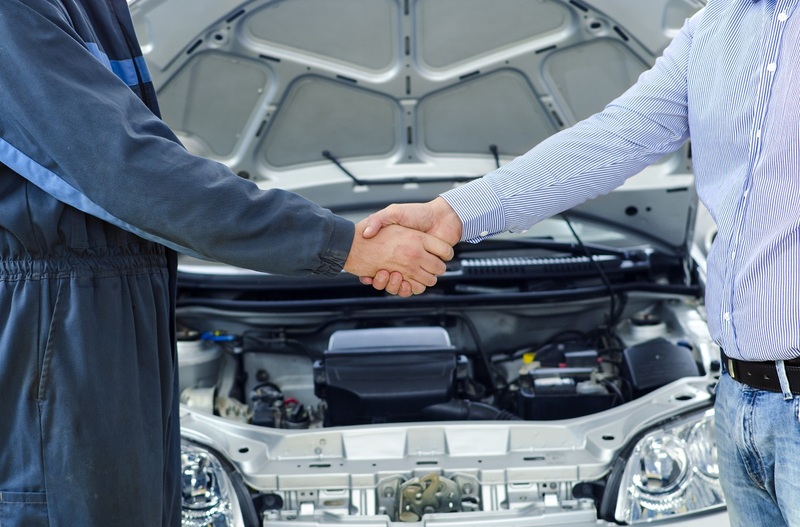 Auto service contracts allow dealerships to retain customers and improve customer loyalty. Unfortunately, in today’s crowded market, that’s not what’s happening. Buyers go where the deals are and where they feel taken care of, during and after the sale. 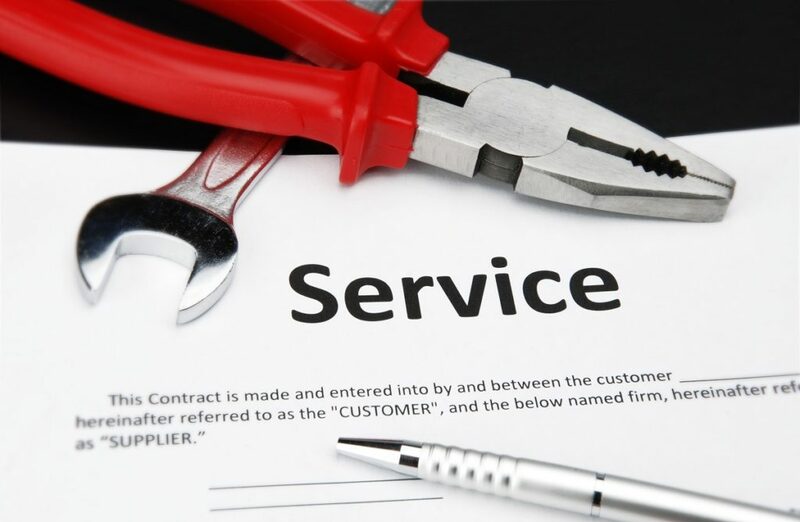 Service contracts retain customer loyalty because your customers know you have a product available at a reasonable price that will never leave them stranded. Great aftermarket service contracts provide 24-hour roadside assistance and towing. These perks matter as much as the low-cost repair and replacement benefits that are part of the service contracts. These are out-of-pocket repairs that dealerships make on pre-owned vehicles for fostering a long-term relationship with customers. The problem with goodwill repairs is that the dealership is on the hook for the parts and the labor. Yes, your customer is happy, but if you make too many goodwill repairs, how satisfied are you? Could too many goodwill repairs be costing you more money? Dealerships that offer extended vehicle service protection benefit because they can recoup expenses from any repairs made to the vehicle after the sale. 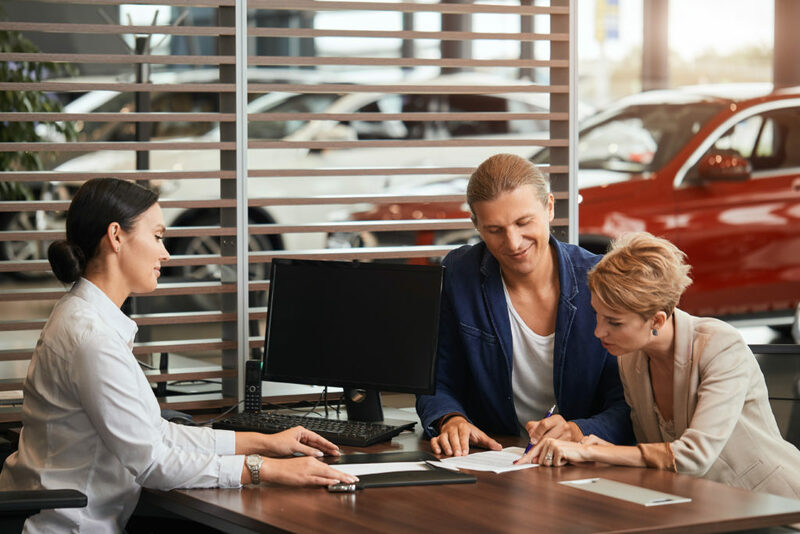 When a vehicle comes with a service contract, you still foster long-term customer relationships without the drawback of losing money on the sale because of a goodwill repair. The majority of your dealership’s business is based on referrals. If a customer feels taken care of, they will spread the word and tell their friends and family. Auto service contracts are one of the best ways to improve customer satisfaction and increase referrals. When a customer doesn’t have to spend their hard-earned money on an expensive car repair because their purchase came with an extended service contract, that improves customer satisfaction. Offering your customers affordable auto protection protects them from unexpected repair and maintenance costs. Also, customers tend to be happier with the coverage they receive directly from their dealer than from third-party auto contract providers. Lastly, if a customer needs car repairs, they don’t have to drive all over town looking for a shop that’s going to fix the problem right. As the go-to extended vehicle protection center, your customer comes to you. Any repair or maintenance work is done at the dealership, and your customer doesn’t have to spend their time trying to find someone who’ll honor the service contract. Customers like convenience. Don't make them search for a shop when you can offer them in-house services. Dealers, are you interested in speaking with extended vehicle protection providers? Contact Freedom Warranty LLC, to learn more about the auto service contracts available and give your customers a reason to keep buying cars from you year after year. Every time you purchase a vehicle, whether it is a used new, you will be presented with various vehicle warranties by the dealer. The vehicle warranties will differ from one another. Some offer protection for a certain period and others for a certain number of miles that you cover. At times, you may be lucky and find a dealer who will offer a protection warranty with both conditions. Freedom warranty LLC offers various vehicle extended warranty programs for every driver. We will help you select a vehicle warranty that will fit your every need as a driver. Outlined is an overview of the different types of vehicle warranties. You may be wondering if a used car comes with a warranty. The answer is yes, especially if the car is young. You can get an extended vehicle warranty plan that will cover your used car. The warranty differs with different types of car dealers. For instance, a used car warranty mostly covers repairs for an agreed period or miles. This ensures a driver will not incur unexpected and expensive repairs before the agreed time ends. Therefore, before purchasing a used car, ensure to get the warranty. Whenever you purchase a new car, expect extended vehicle warranty plans from the dealer known as bumper-to-bumper or a powertrain warranty. The bumper-to-bumper warranty covers everything that is not related to maintenance issues. The powertrain warranty covers anything that provides power to the wheels of your car including the engine, transmission, and drive shafts. 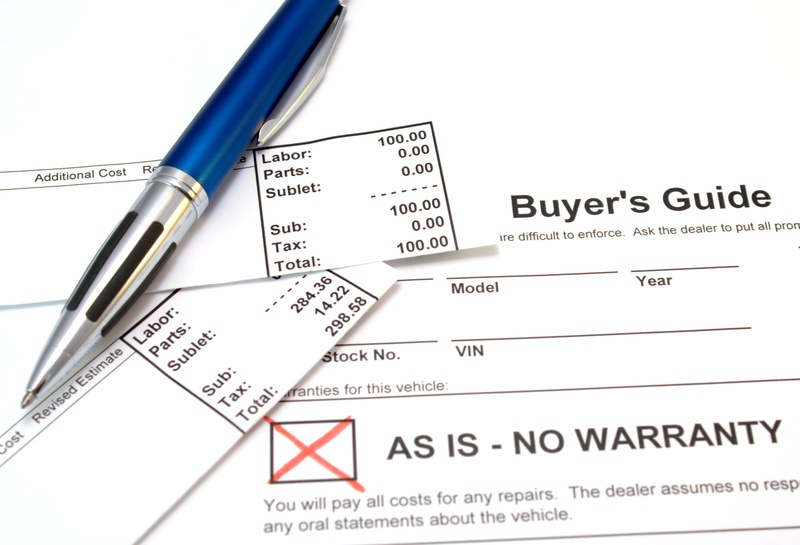 The coverage of these types of warranties depends on different car dealers. Just like the name suggests, anti-perforation warranty covers the vehicle from corrosion. However, the warranty is offered on a time restriction basis for most car dealers. At times, a vehicle’s body may rust. Therefore, it is wise to choose an anti-perforation warranty to cover all the expenses. Ensure that your vehicle extended warranty cost will be able to cover all the unexpected expenses beforehand. The accessories warranty covers the body parts of the vehicle. This type of warranty requires the car dealer to install all the necessary accessories in the vehicle before handing it to you. It’s good for 12 months or a 12,000 miles, whichever comes first. At times, a vehicle’s emission control may not function properly. This may be due to a defect in the materials. At times, it may be due to workmanship. Either way, the emission warranty will cover the defects. The coverage will cover the hardware parts as well as the software part. Hybrid warranty covers the hybrid parts of the vehicle such as the electric motor, and battery pack among other system parts. The hybrid vehicle extended warranty prices differ from state to state. There are certain states that offer hybrid warrant coverage for 8 years. A state like California has a hybrid coverage warranty of 10 years or 150,000 miles. As mentioned earlier, a powertrain warranty covers the part that powers the wheels of your vehicle. These parts are warranted separately from the other body parts. This is due to their long lifespan expectancy. The standard powertrain warranty usually covers for five years or 60,000 miles. As you can see, there are various warranties that will protect you from incurring unexpected expenses. Contact Freedom Warranty for a better insight of the various warranties that will suit your every need. Extended Warranty on Used Cars: Is It Worth It? 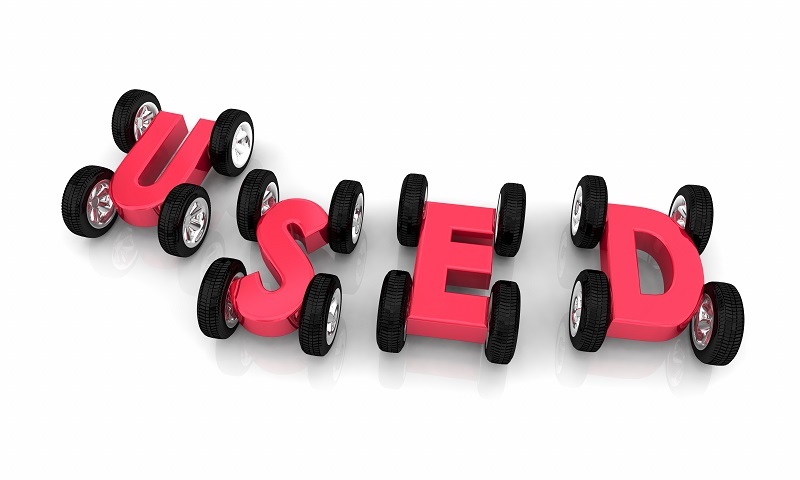 When you purchase a used vehicle, you may be concerned about the potential for problems due to previous wear and tear. That’s why many people also purchase a warranty from an extended vehicle protection provider. This warranty will typically cover major repairs like engine, transmission, drive axle, engine cooling, and other basic systems. If you’re wondering if purchasing an extended warranty is a smart idea, here are some things you need to know. An important thing to consider is whether or not you’ll be able to pay for any major repairs that are no longer covered under the factory warranty. If you spent most of your savings on the car and won’t be able to build it back up quickly, it’s a good idea to have some kind of warranty to cover major repairs that you’ll be unable to afford otherwise. This is especially true if the money you’re spending on the warranty won’t substantially change the amount you can save towards repairs. You also need to think about how reliable your vehicle is likely to be. You can look up reliability ratings and dependability studies on your specific make and model to help gauge this. If your vehicle has a lower reliability rating, you may want to consider an extended vehicle protection service. 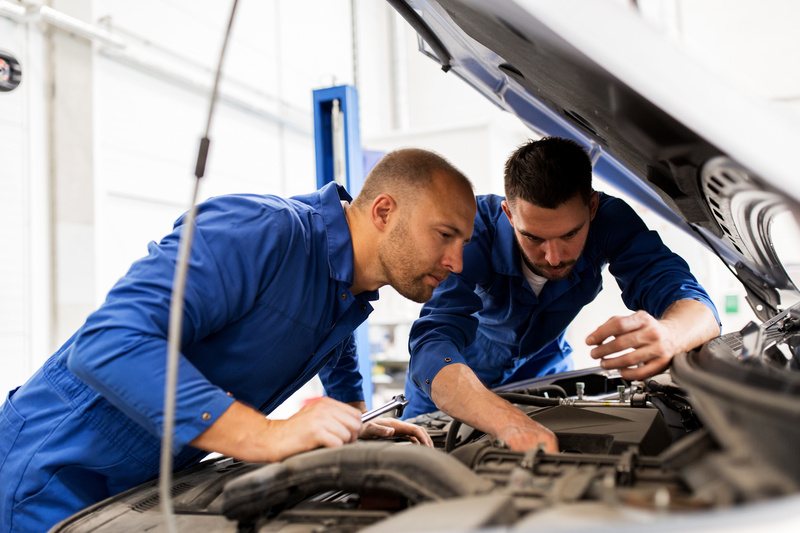 An independent mechanic can also find indications about the car’s dependability, so if that’s an option before purchasing a used vehicle, be sure to take advantage of that. If you hope to keep your car for a few years and the one you’ve recently purchased is at least ten years old, it’s a good idea to at least purchase a basic warranty. There are warranties specifically designed for cars between ten and twenty years old, with mileage in between 80,000 to 200,000 miles. These warranties will cover the major systems in your car so that you’ll only need to worry about typical maintenance due to wear and tear like brake pads, transmission flushes, and oil changes. There are numerous options when purchasing an extended warranty, but one of the biggest benefits is the additional coverage options you can choose to add. 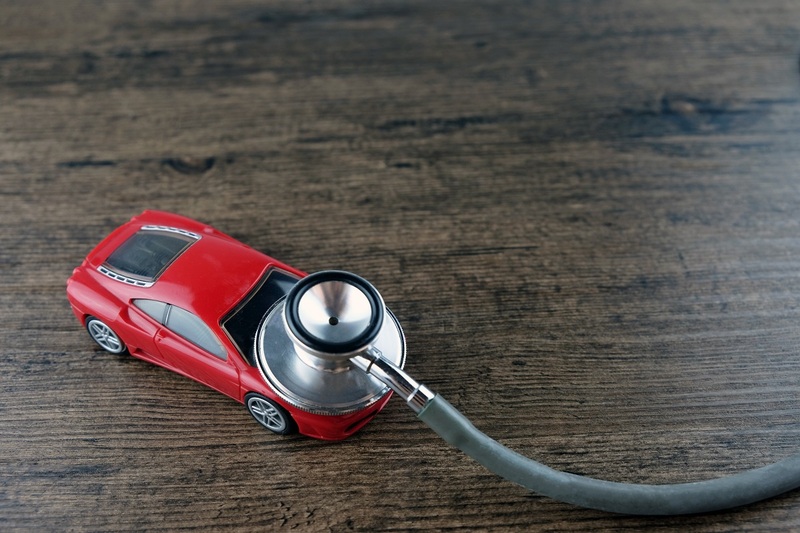 You can determine what coverage is most valuable to you by taking into account your previous history with car repairs as well as the hazards you typically face in your area. 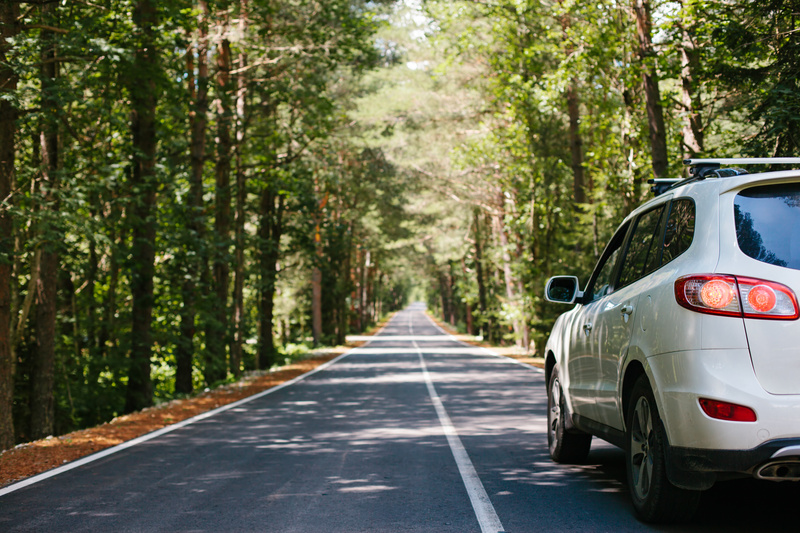 These factors can help you decide if towing, road-hazard tire, rental car, manufacturer extension, and other coverage options are important to you. If you’ve determined you need an extended warranty, there are a few tips to help you get the best one. Research who stands behind the warranty. It may be a car manufacturer, individual dealers, or the warranty company itself. 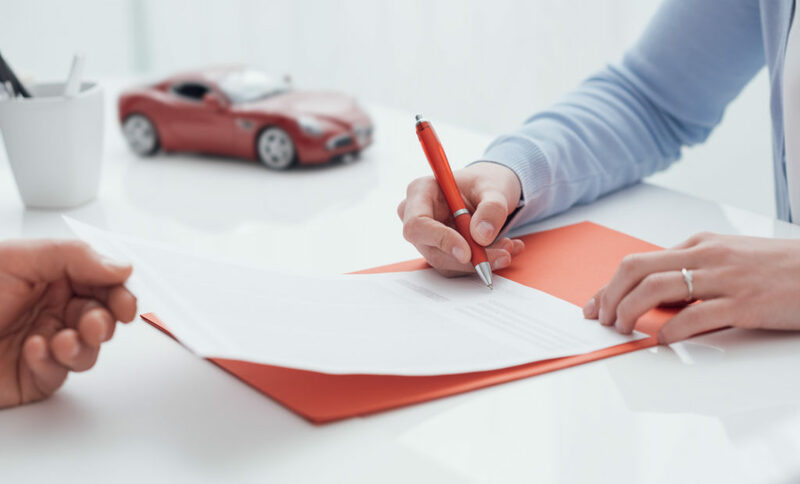 In addition, these contracts are complex, so make sure you know exactly what is and isn’t covered, and that expensive parts like the engine, transmission, transfer case, cooling system, and drive axle are covered. Make sure you know where you can get repairs, if repairs are paid directly to the shop or by reimbursing you, and if there are waiting periods or pre-approvals required. In addition, if you think you may sell your vehicle in the near future, ask about additional coverage that allows you to transfer the contract with the sale. This is important information to know because it can increase the value of your car. Contact Freedom Warranty LLC today to learn more about used car extended warranties. Of the entire process of buying a vehicle, choosing the right vehicle service contract is the most stressful, time-consuming and confusing. 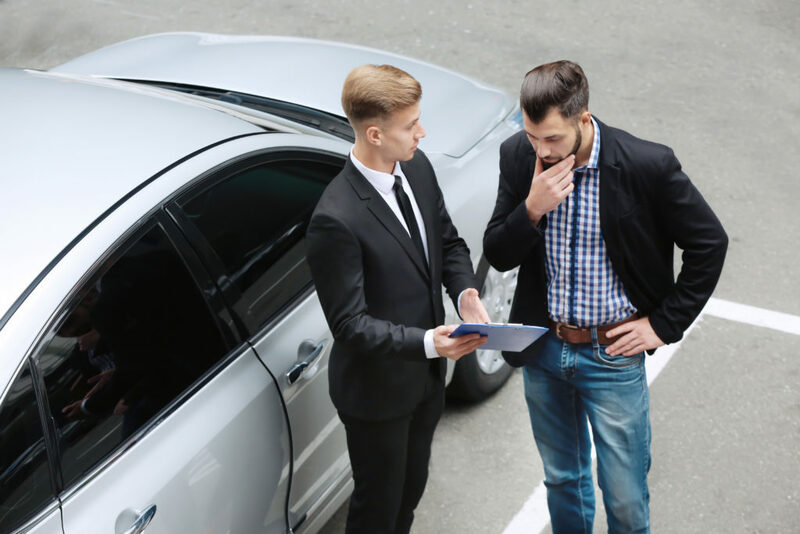 You should review the best vehicle service contract companies you can find and get a contract that will meet your anticipated needs, but what does that entail? Here is a brief tutorial to help you make your decision. Entering into an agreement with vehicle service contract companies is a major step in the vehicle buying process. Making sure you understand what it is you are agreeing to is the only way to make sure you get what you expect. The only way to do that is to ask questions and lots of them. The only dumb question is the one you did not ask, so make sure you are thorough. Any reputable company will be glad to answer your questions and provide you with more information than you need to make an informed decision. Everyone has been told to thoroughly read a written contract since that type of agreement was conceived and almost everyone ignores that advice at some point. Reading the fine print in a contract is hard work because written bonds tend to be very boring, but reading every last word is vital! With a vehicle service contract, the tendency is to rely on vehicle service contract administrators to outline what the agreement entails and that is a mistake. Make sure you read the contract from start to finish and ask questions about anything you are not sure about. Make sure you understand as much about the warranty/contract you will be signing as possible. Understand the terms and who is covered, the type of repair work that is covered and any maintenance requirements. Review any deadlines or mileage benchmarks and map out the dispute resolution portion so you are not blindsided if you end up having a disagreement over what is covered and what is not. Verify where any work has to be completed and if you go with a third-party repair service (in an emergency,) what type of documentation is needed to have it applied against the warranty. Treat your agreement like an official, legally-binding contract and methodically work through it to ensure you know it inside and out. If the extended agreement sounds too good to be true, price wise, it probably is. Beware of a contract that is so inexpensive it makes no sense. The best advice is to walk away from anything offered at a bargain-basement price, but at the very least, you should do heavy research into the contract and find out why it is so cheap and if customers are happy with the contract. Another thing to be aware of is that inexpensive contracts often come with very high deductibles, sometimes so high that a person using it will never exceed their deductible unless they have a major repair to cover. Finally, lower cost contracts often have a lot of rules that must be followed to ensure coverage. Picking out the right vehicle service contract requires due diligence, careful research, common sense and an understanding of what you need. Check out Freedom Warranty to get extended vehicle protection that is reliable and affordable. What’s the Difference between a Warranty and Extended Service Plan? When you purchase a new vehicle, it comes with a manufacturer’s warranty, but the dealer will usually also offer you an extended service plan. Many people are uncertain how the two differ. 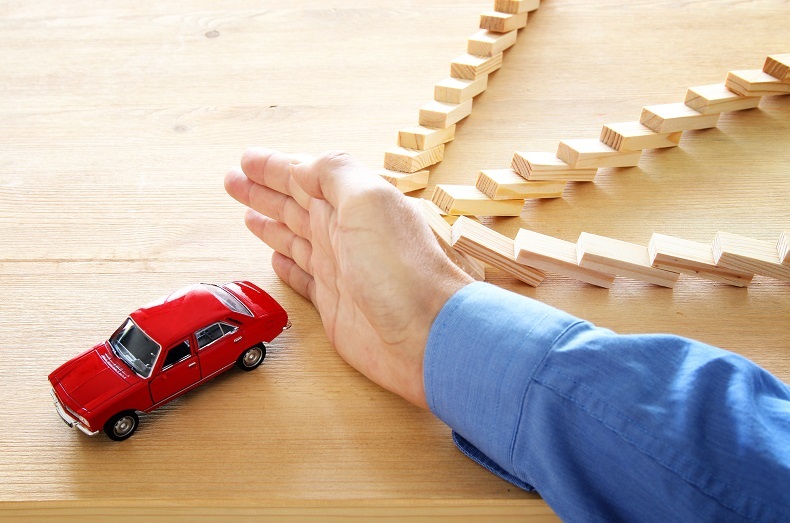 Should you get that extended vehicle protection plan? How’s it different from the warranty? Here’s what you need to know. The warranty on your vehicle is built into the price of the car. An extended service plan will always come at an additional price. The exact cost of the extended plan will vary depending on which plan you decide to purchase (there are usually at least two options), and you can often get a better deal on the plans if you’re willing to do some negotiating with the dealer. Your vehicle’s warranty is provided and covered by the manufacturer. It is the manufacturer’s way of standing beside their product and guaranteeing that there will be no major issues with the vehicle within a certain time period. An extended service plan is typically provided and backed by the dealership or the company that you purchase the plan from. The manufacturer’s warranty usually has a very narrow scope of what it will cover. This typically includes major malfunctions with the vehicle’s power train and other primary functions. It may also include a more limited warranty covering any major issues on the vehicle, like door locks or windows malfunctioning. An extended service plan will cover a lot more in relation to your vehicle’s functionality. Smaller parts of the vehicle not included in the warranty will often be included in a service plan. This means that if anything goes wrong with your car (barring damage inflicted to the vehicle) within the service plan’s period, the dealership will repair it free of charge. Most manufacturers’ warranties only last a handful of years, or up to a certain number of miles (whichever comes first). Different manufacturers will offer different warranties on the vehicle, so this may be worth researching if you’re in the market for a car. Often, there are two warranties included on your vehicle: a power train warranty and a bumper-to-bumper warranty. These have different time and mileage limitations on them. An extended vehicle protection package does just what the name implies; it extends the protections on your vehicle, not only in the scope of what is covered, as mentioned above, but also in how long those protections last. So, if you’re going to be putting quite a few miles on your vehicle in a short amount of time, it’s usually worth the extra cost of getting a protection plan. A vehicle is a major purchase, and it’s natural to want to limit the amount of money coming out of your pocket with such a large expense. But when you’re spending that much money on something, don’t you want to ensure that your investment is protected? 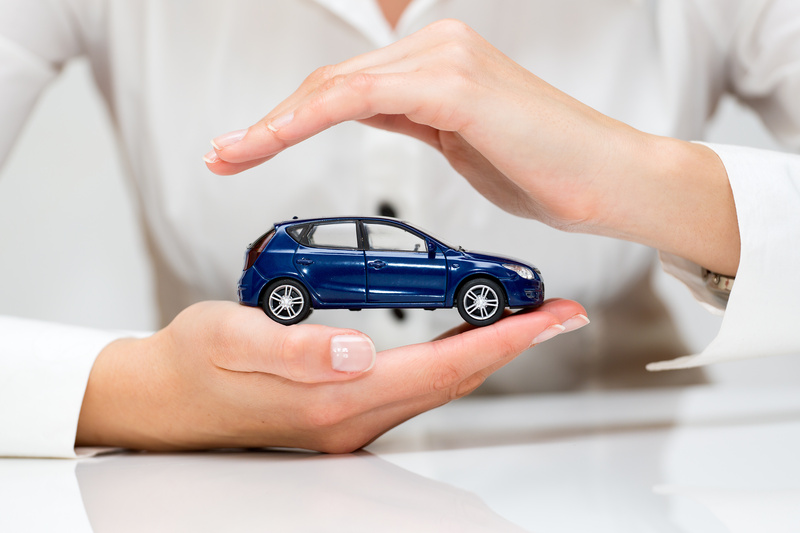 When you consider all of the possible issues that could arise with your vehicle outside of the manufacturer’s warranty, it’s usually more than worth the cost of purchasing extended vehicle protection programs for your new car. Give the professionals at Freedom Warranty a call today to discuss your options. With the cost of new cars going up, up, up, more of us are keeping our vehicles for extended periods of time, even after the factory warranty has expired. 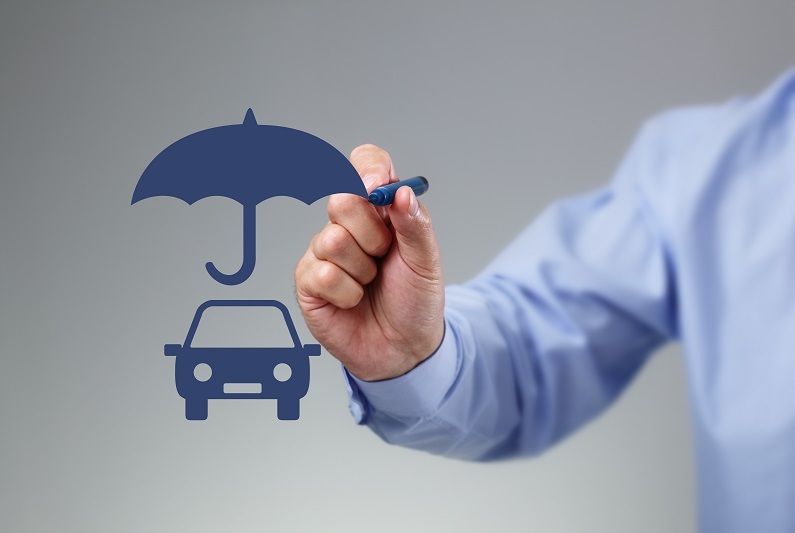 A vehicle protection plan is a supplemental plan to the manufacturer’s warranty that protects consumers from costly repair bills. 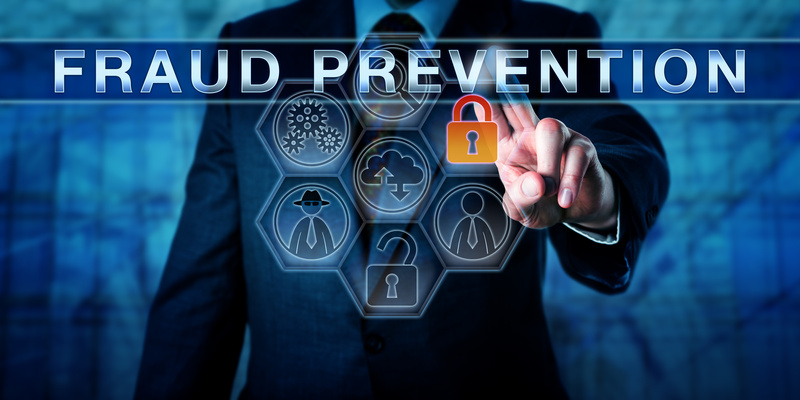 There are many companies that prey on unsuspecting consumers by selling fraudulent extended vehicle protection services. Here are ways to protect yourself from vehicle protection fraud. In recent years, more than $4 million was refunded to nearly 6,000 people from the Federal Trade Commission after they were tricked by robocalls peddling extended vehicle service contracts and portraying themselves as being affiliated with the vehicle’s manufacturer or the dealership of where the car was purchased. When individuals purchased the service over the phone, their refund submissions were ignored when their vehicles needed to be repaired. Robocallers may already have information about your vehicle or warranty which may lead you to assume they are credible. There are many situations where consumers felt pressured into purchasing the extended vehicle service protection from vendors who called them. The consumers usually did not conduct any research and a large part of it was because of high-pressure sales tactics by the telemarketers. You should be skeptical of any telemarketer who tries to pressure you to make an instant decision. Mailed documents that look genuine may be hard to distinguish. Often, marketers will portray their advertisements as frantic manufacturers or warnings from the DMV. You may see titles such as expiring auto warranty or final notice. This is designed to facilitate action on your part to call the number for more information. Exclusionary policies provide a list of what is not covered if something breaks in or on your vehicle. With inclusionary policies, you only receive a list of items that the policy covers. If the caller is asking for your credit card number, social security number, or any other personal information, they must send you more detailed information about what they are trying to sell you. If you receive a call from a telemarketer that is selling extended warranties, it’s best to conduct a brief search on the Better Business Bureau website to get insight into their reputation. If you were subjected to purchasing a fraudulent extended warranty, then you have the option to file a report with the Federal Trade Commission. If you would like more information on vehicle warranties, give the experts at Freedom Warranty a call. Your car or truck will experience a mechanical problem sooner or later. A dashboard light will blink out, an engine part component will wear down, or a door latch will fail to open. Something will go wrong in your vehicle that will result in a trip to a repair shop and a sizable repair bill. Today’s cars, trucks and sport utility vehicles are more mechanically and technologically complex than their predecessors. Many late-model vehicles are equipped with push-button ignition, navigation systems, and smart technology that tells you if there is someone in your blind spot or slows your vehicle automatically if you get too close to the one ahead of you. No one who buys a vehicle today thinks ahead about the expense involved if one of these high-tech systems fail. One option for car buyers is to purchase an extended protection plan that covers the cost of unexpected repairs to your pre-owned vehicle. Here are three reasons why an extended vehicle protection provider is essential for your investment. Most pre-owned cars, trucks or sport utility vehicles are sold “as is”, meaning as the buyer, you're responsible for any repairs. The older the vehicle, the more likely you will have repairs after the original warranty has expired. Extended vehicle protection programs offer owners the peacefulness that repairs to their vehicle are covered beyond the original warranty period. You're likely to finance a late model pre-owned car, which means committing to four or five years of payments. An extended vehicle protection plan covers most mechanical problems for an additional number or months and miles. Your vehicle will operate longer and provide a greater return on your investment. We mentioned earlier the high-tech systems now standard in many late-model cars and trucks. Keyless entry, remote starting, and other systems can cost hundreds or thousands of dollars to fix once the warranty expires. This is where extended vehicle protection plans are the most useful, as a money-saving repair option. Next to your home, the choice of a car or truck is the most important financial investment you could make. A coverage plan from a reputable extended vehicle protection provider ensures that when things in your vehicle stop working, you can get the repairs done and get back on the road. Give the experts at Freedom Warranty a call. The purchase of a car is one of the most important financial investments you will make. The body style, performance, gas mileage, comfort and safety are deciding factors in your choice of a car, truck or sport utility vehicle. You also want a vehicle that you expect will last you a long time. A factory warranty will cover repairs for a limited length of time. The out-of-pocket costs to repair a mechanical or electrical issue can be substantial, especially when your vehicle’s warranty expires. One option that can save you money in the long run is an extended vehicle protection plan. Warranties typically are from third-party providers that market their products to owners of vehicles well past their warranty date who are looking for some extra coverage. Choosing the best extended vehicle protection plan means doing some research to determine which best fits your needs. Here are a couple of reasons why extended vehicle protection plans are worth the money. Many dealerships offer extended vehicle protection plans as an option to be included in the purchase price of a pre-owned, late-model vehicle. Many buyers are unaware of how close the vehicle factory warranty is to its expiration date. The extended vehicle protection plan closes the gap in repair coverage created by an expired factory warranty. Even with access to vehicle history reports, the more miles a car has, the more likely a part or electronic system will fail. An extended vehicle protection plan covers your vehicle for tens of thousands of additional miles and months of driving, which means less money in repair costs and peace of mind for the owner during the coverage period. You may ask yourself at the dealership if an extended vehicle protection plan is worth the money. Cars, trucks and sport utility vehicles are built better and last longer, and some new car warranties cover powertrain repairs for up to 100,000 miles. On the other hand, you can expect to pay more in repairs as your car ages. Your choice of the best extended vehicle protection plan will depend on your situation. It helps to research your vehicle’s reliability record, and take into consideration your driving habits and annual mileage. You should also research the estimated maintenance cost for your vehicle over time. In the end, your choice of the best extended vehicle protection plan will come down to how it can save your money in future repair costs. Contact Freedom Warranty to learn more!